The UK’s departure is a strategic and historic disaster for the EU, writes Rosa Balfour (German Marshall Fund). Britain will suffer the most materially, but for the EU Brexit will represent a sharp fracture in a process of relative decline. The truth is that the whole continent is going through a major political crisis and the UK is pioneering it with Brexit. By supporting a quick Brexit, the EU risks not only accelerating its own disintegration, but also having a deeply troubled and unstable neighbour. A long extension of Article 50 would be the best solution to allow both sides to live through their crises and seek regeneration, she concludes. As the Brexit drama continues to unfold in the House of Commons, showing how bereft it is of any common vision of Britain’s relationship with the European Union, and the risk of the UK crashing out of the EU on 29 March dangerously grows, representatives of European capitals and institutions will discuss this week how to respond to a possible request from London for an extension of Article 50. The dilemma around which Europeans are divided is the duration of the postponement: a short extension period no longer than until 2 July, when the newly elected European Parliament holds its first session or a longer period to allow the UK to hold a referendum and/or explore alternative options to Theresa May’s Deal? A short extension merely buys time: by 2 July the UK and the EU would find themselves in exactly the same cliff-edge dilemma. A long extension would allow the UK to live through its political crisis and creates space for a new debate on Europe – which could benefit the UK and the EU alike. Brussels went out of its way to support May’s Deal in the hope of ‘getting it done and moving on’ – a sentiment which is shared by many in the UK too. Now there is not just impatience, fatigue, frustration, and loss of trust in the Prime Minister. The concern is growing that a long extension can potentially be damaging to the interests of the EU. Not only are there the European Parliament elections, which Britain would be obliged to hold – with Nigel Farage feared to beef up the growing numbers of Eurosceptic representatives. The EU also need to agree to a new Multiannual Financial Framework – its 7-year budgetary plan – and whether the UK is in or not makes a big difference. There are growing preoccupations that the UK (possibly under a new and even less trusted Prime Minister), will not keep faith to the commitment to not interfere in any business that pertains to the EU after Brexit. These are legitimate concerns and highly complicated to solve, technically, legally and politically. Yet they should not become blind spots. The energy channelled into the negotiations with London and keeping the EU united should not distract from the bigger picture: the UK’s departure from the EU is a strategic and historic disaster. Britain will suffer the most materially; for Europe as a whole, it will represent a sharp fracture in a process of relative decline. 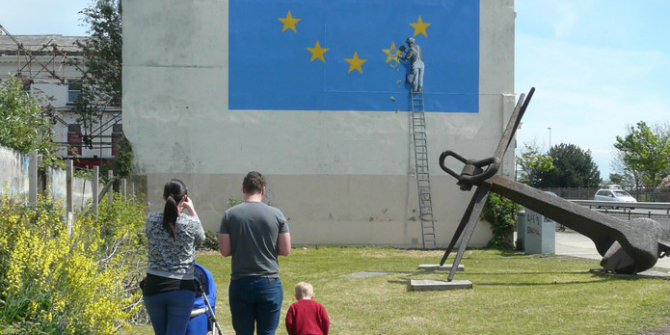 The Centre for European Reform has done a careful pros-and-cons analysis of Brexit for the EU and suggests that the costs outweigh the potential benefits. On foreign and security policy, there is no doubt that the EU will be greatly diminished. In some areas, such as sanctions and intelligence gathering, it may even not be in a position to implement decisions lacking the necessary wherewithal and capacity to uphold sanctions credibly. Even if it is assumed and indeed possible that after Brexit the EU and UK continue to cooperate on key international issues – stability in the Balkans and Eastern Europe, relations with Turkey, the Middle East, Britain will not be sitting around the table where the European Ambassadors discuss strategy and policy responses, will not participate in the monthly meetings of the Foreign Affairs Ministers, and will not be in the European Council working out how to deal with the next challenge. In light of how much Britain has contributed to the EU’s international engagement, the loss will be mutual. In an age of Transatlantic divergence, with the US President actively promoting Brexit and the division of the EU, Russian interference, and China’s investments into Europe’s critical infrastructure, the last thing the continent needs is a loss of global weight and internal fragmentation. Even if the EU has taken some small steps to improve its capacity in security and defence, without Britain it risks becoming a provincial mini-power. The signs from European capitals of greater cognisance of the global context of hostility towards the EU are simply not forthcoming. Even on internal EU policy, the idea that ridding the EU of its awkward partner will allow Brussels to ‘get on with things’ seems ludicrous in the face of the debates on the future of Europe taking place in the member states. French President Macron is downgrading his grandiose ideas, but even on those, the response is wanting, as Germany’s vacuous reply suggesting France give up its seat at the UN Security Council showed. If the two largest member states are dithering, the other large countries are embracing nationalism. Poland and Italy have already made their choice, Spain may shift to the nationalist right after its elections in April. Dark shadows are being cast on Europe’s future. The simple truth is that the whole of Europe is going through a major political crisis; the UK is pioneering it with Brexit, but the nature of the crisis is similar across the continent and would be better addressed together. In the UK there is the fear that if Brexit were to be revoked, the betrayal of the 2016 referendum result would cause unrest. To be more specific: Brexiteers threaten chaos in case of long Art. 50 delay/revocation. What is forgotten is that any form of leave will cause unrest too. The economic impact of Brexit in whatever form will cause job losses, with the hardest hit areas coinciding with the leave voters. A second Scottish referendum may well vote to leave the UK and join the EU. Northern Ireland, which voted to remain in the EU but whose political representatives in London are not abiding by that indication, could become unstable raising demands for unification with the Republic of Ireland. So what instability is worse? From the point of view of the EU’s interest, it is worth worrying about the consequences of the instability of a direct neighbour with such deep ties that it is proving nearly impossible to disentangle them. By supporting Leave, the EU risks not only its strategic downgrading and the beginning of its own disintegration but also having a deeply troubled and unstable neighbour which may embark on its own disintegration. If the UK needs to live through its crisis, so does the rest of Europe. The Brexit story also has another side: for the first time in its history, the UK has developed grassroots pro-European movements that are increasingly able to influence events. These have sprung up spontaneously since the aftermath of the referendum, and over the past few months have started to be of consequence. Six months ago the polls started to shift towards Remain. The Labour party leadership was compelled to commit to a second referendum by its membership. On the European continent too there are signs of citizen mobilisation and activism in support of a renewal of politics, as the Presidential elections in Slovakia have just shown. Under attack by anti-European populists and the radical far right, the European Parliament elections are becoming increasingly interesting – possibly helping create that pan-European public space for debate that the EU has always lacked. Game-changers across Europe and the UK need to coordinate and cooperate to inject a new lease of life into the ailing politics of Europe – and it needs to be done together. A long extension of Article 50 will better allow both sides to live through their crises and seek regeneration. 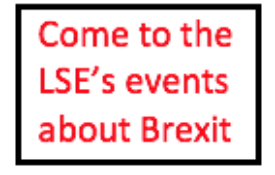 This article gives the views of the author, and not the position of LSE Brexit, nor of the London School of Economics. © Copyright John Baker and licensed for reuse under this Creative Commons Licence. Dr Rosa Balfour is a Senior Fellow at the German Marshall Fund of the US. In September 2018 she was awarded a non-resident fellowship on Europe’s Futures at the Institute for Human Sciences in Vienna. 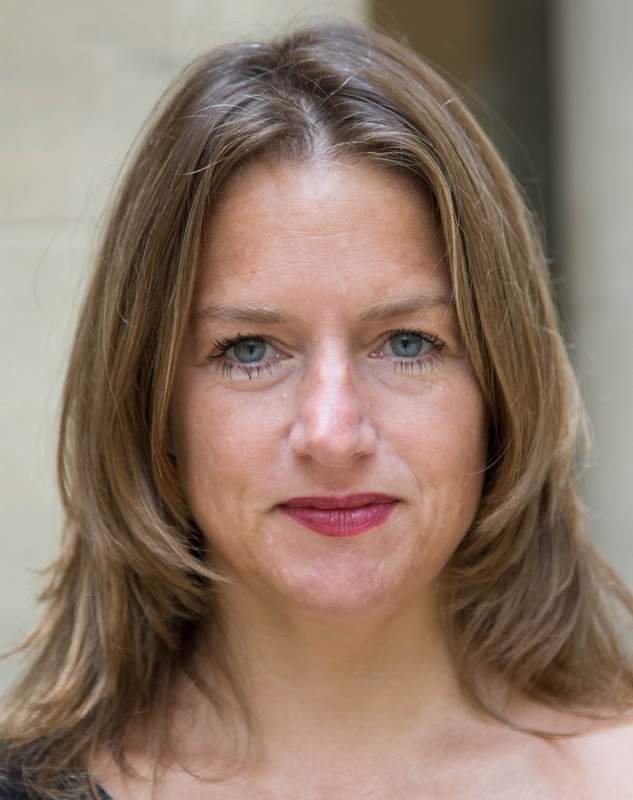 Rosa is also a member of the Steering Committee of WIIS-Brussels (Women In International Security), an Associate Fellow at LSE Ideas, and a Senior Adviser to the European Policy Centre. Among her publications are What are think tanks for? 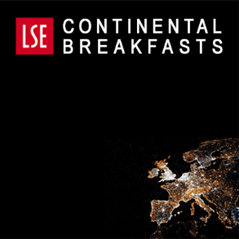 Policy research in the age of anti-expertise, published by LSE Ideas, Europe’s Trouble-makers. The populist challenge to foreign policy, a volume published Ashgate in 2015 (co-edited with Caterina Carta and Kristi Raik), The European External Action Service and National Foreign Ministries. I think one of the big things the article misses is that there is also a crisis in the United Kingdom more generally. Two of the four countries that make up the UK have very strong movements to leave the UK and demographically it is young people in favour of leaving the UK and the older generation in favour of keeping it going, so every year that goes past results in a bigger force to split the state up. Polling in both Scotland and Northern Ireland shows more support for EU membership than for continuing within the UK. Meanwhile in England, particularly among supporters of Brexit, there is growing support for bringing an end to the UK too. A good government would be looking for compromise and considering options such as a federal constitution but there’s absolutely no interest in that and indeed the government is actively making things worse. So, it’s very important Brexit is viewed within the context of a crumbling state more generally. It’s very hard to see what the EU could possibly do to keep the UK together.